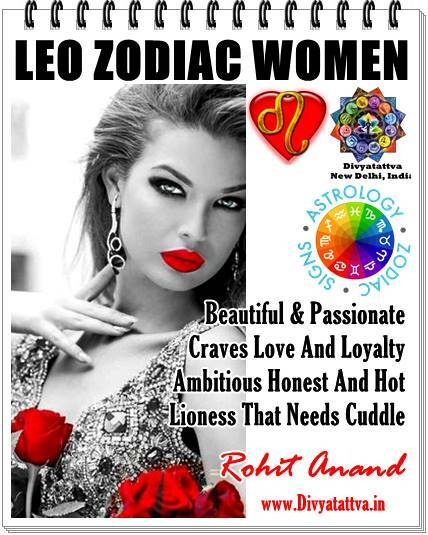 Top Tarot Cards that indicate Job, Career, Work, Employment in tarot spreads and tarot card readings By best tarot card reader online : Shri Rohit Anand New Delhi, India. Top Tarot Reading in Delhi Famous Tarot Card Reader India. 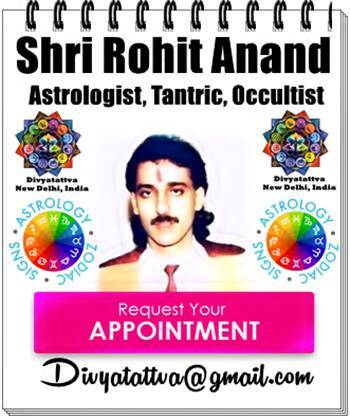 Shri Rohit Anand with 25 years Experience as Tarotist. Learning Tarot : Top tarot oracle cards for Jobs and Career. If you are new to tarot and a beginner in learning tarot cards and curious to know about your career and job prospects in the companies you have applied for employment, here are some of the tarot cards you should look for getting the right answer in your tarot spread. 1. Ace of Pentacles in tarot deck : This card indicate the beginnings of all new opportunities in field of career, job, work, part time work and employment. Appearance of this card in the tarot spread may also indicate job promotion or increment in the present company. 2. Two of Wands tarot card in tarot layout : This tarot card gives indication of all possible opportunities if you are thinking of applying for job in different city or country. Planning to migrate to different place for work opportunities or higher education to reach out to your goals and overseas travel is no issue with you with regard to your career. This tarot card in the tarot spread layout show the foresight, planning and foresight that goes into fulfillment of ambitions one has in achieve of career goals. One need to make a decision and progress on the matters of career in planned way and explore new career fields or opportunities that might come his or her way. 3. The Chariot Tarot Card : This tarot card shows one's strong will power and intentions of achieving something big in career. One has unstoppable determination in reaching top in ones career in big company or landing in big job, getting good post in company or be in top executive and management posts. It shows one caliber in taking charge of management and exercises more authority and control over the affairs of workplace and company affairs. this particular card could also mean movement or progress in positive ways in getting the job applied for. 4. Ten of Pentacles in Tarot Spread : Ten of pentacles indicates success with regard to pay packet in job, promotion with good pay package and incentives in job offers. When this card appears in tarot readings then it points towards security, prosperity, rise and solid foundation in career growth at top posts. 5. Three of Pentacles in Tarot Card Readings : This is another card for getting job where you need to work with others, in group or as a team to achieve objectives. Success comes when one works in organized way in collaboration with others with open mind and effective communication skills. 6. Six of Wands Tarot Card : Its a card for success in getting a job, work, employment and being happy with one's offer at hand. It could also mean reward, appreciation, recognition of ones hard work and achievements at the workplace. 7. Emperor Major Arcana Card : This card could mean respectful person with influence and experience getting job. He can be company director, mentor or at top post. This person is in the position of authority and exercise much power and important assignment in the larger affairs of the region or being the boss of the group head. 8. Eight Of Wands Tarot Card : 8 of wands appearing in the tarot reading leads one to travel for job, giving interview for jobs, receiving calls and job offers, job interview offer. If may mean business travel for get new orders or sales job. learn new set of skills, work hard on job, requirement of skilled labor, gaining knowledge, training on the job, enhancing skills and applying new techniques of working. 10. Two Of Cups Tarot Card : It means signing job offer, entering into contract employment, business agreement, job contract, fixed tenure work assignment. It could also mean business partnership and harmony in working together. Connecting with other people at work place, company or factory premises for getting job done. It can be a card for finding balance, peace, harmony or simply joining the feminine and the masculine aspects of one's inner self to create a more integrated whole. It can be the good constructive and positive unifying force that brings warring parties together in joint venture or being together in managing affairs of partnerships, firm or a company. Career or job prospects that might be suitable are as a marriage match maker, giving guidance in partnerships, commission agent, counselor or mediator. LEARN TAROT ONLINE JOBS, WORK, EMPLOYMENT VIDEO. 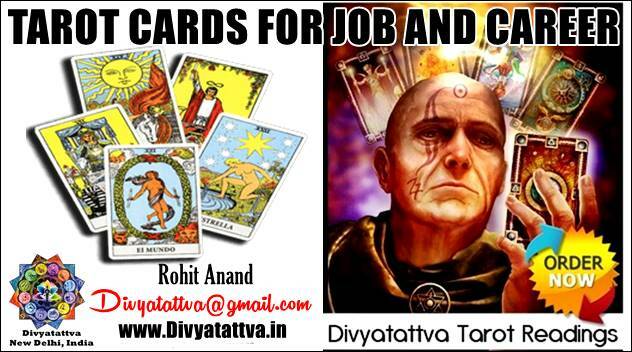 Get career tarot consultations, getting the job through tarot, tarot spread layout for job interview, will i get a job in tarot spread, tarot spread for job search, career direction tarot spread and tarot card predictions for career and part time jobs. By Rohit Anand. 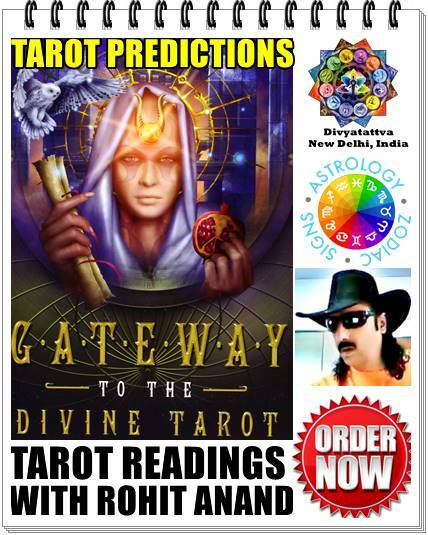 India's top tarot card reader at Divya tattva.